Our team of local experts will assist you from start to finish through what’s called our ‘Design Guide’ approach. Using our product knowledge and innovative thinking, we can make meaningful contributions to your design and bottom line throughout the process. We begin by sitting down with you to discuss your project and work to understand your unique vision. From here, we can educate you on our products and the innovative ways they better and benefit your design. As well as aesthetic solutions, we provide ways to make the entire process more cost-effective. After showing clients the possibilities, they often respond with ideas that might not have occurred to them otherwise. Our Sales, Technical, Production and Despatch team work together to ensure your product is priced, manufactured and despatched to the highest standard. To begin pricing we require your drawings, tender close dates and expected delivery dates, then work with you to provide a price within your budget. In order for items to be fabricated within specification, your engineered drawings will be translated into detailed production drawings. These drawings may be fabricated in house by the Balcrom Technical Department, or by using an external drafting facility working under the direction and standards set by us. 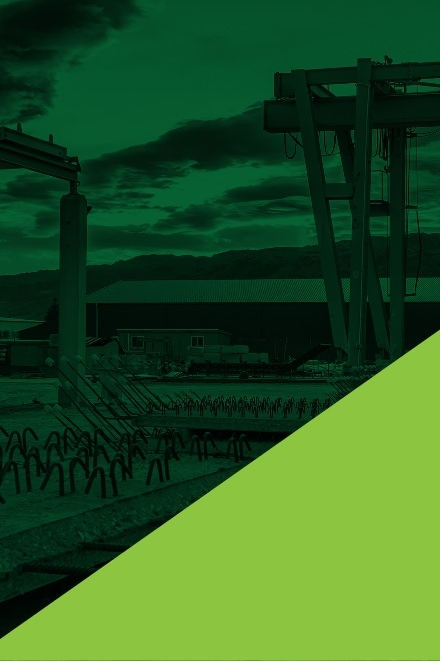 We build custom moulds and fabricate all the precast and prestressed product in our own factories in Balclutha and Cromwell, allowing us to maintain the highest quality control at every step of the production process. Any flooring requirements will be outsourced to an engineer specialising in precast for design, but will be managed by the Balcrom Technical team. Production is a high-level Precast manufacturing processes, from planning through to de-moulding and storage of the product. The Operations Manager, Production Supervisor and Production team are responsible for ensuring that procedures are followed to achieve the agreed production plan and performing the required manufacturing checks and quality inspections.